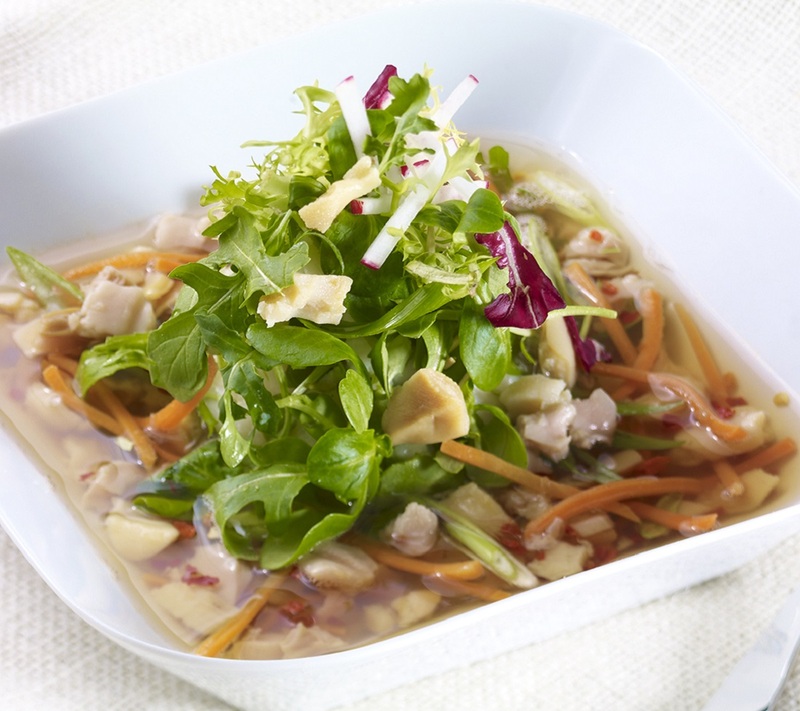 Put clams with juice, additional clam juice, garlic, ginger, chili paste and carrot sticks in a saucepan. Simmer over medium heat for 15 minutes. Place one cup of green in the center of a large shallow bowl. Using a 4-ounce ladle, dip out about 3 to 4 ounces of meat from the pan and place over the greens. Ladle 6-8 ounces of juice only over the bowl. Garnish with scallions and radish slices.